I got a Beauty Essentials set from Estee Lauder which has a travel size of the Advanced Night Repair, DayWear Creme and Advanced Night Repair Eye cream. 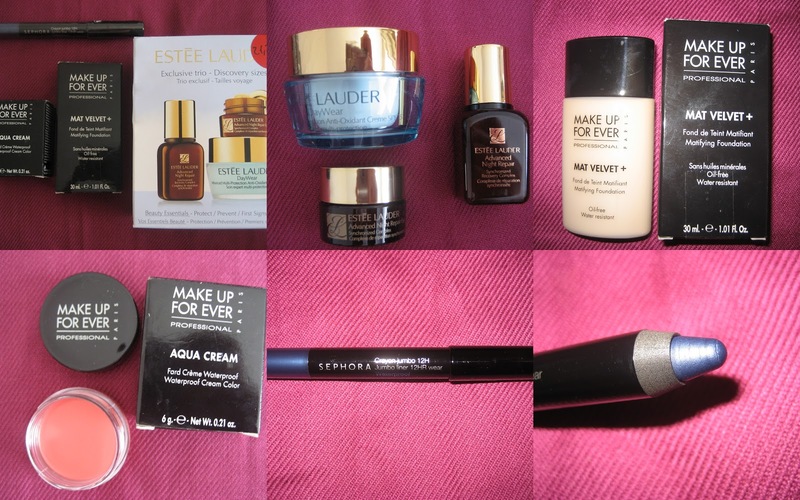 I thought this would be a great way of trying a few products out for €21. Next is Make Up For Ever's Mat Velvet + in Shade 20, I've been dying to try this for ages! I got an Aqua Cream from Make Up For Ever aswell in the most gorgeous coral shade ever, it's Shade 9 and I am in love with this already. I had it all over both hands in Sephora and think this will be gorgeous on the cheeks and lips. Finally is a Jumbo liner from the Sephora brand itself. I'm obsessed with midnight blue makeup and knew I had to have this. It's waterproof and applies like a dream. Love these all. A lot. Next are the nail polishes. Before you have heart failure, these are photos with the flash and no flash, I didn't buy doubles! I tell a lie, I bought a back up of the most perfect coral polish I ever did own in my life. 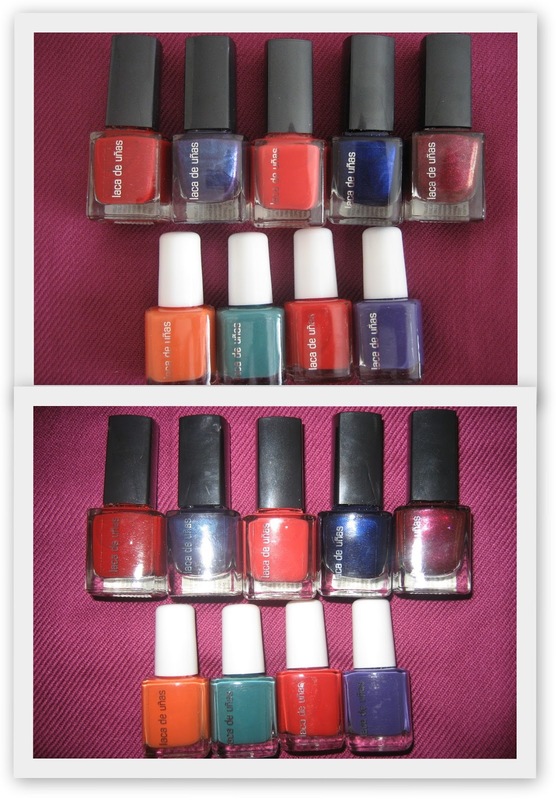 It is the middle polish on the top row of the first photo. These are from Mercadona, a spanish supermarket chain and the top row were a measly €2.50. The bottom row were a piddly €1. You cannot go wrong nail polish lovers. 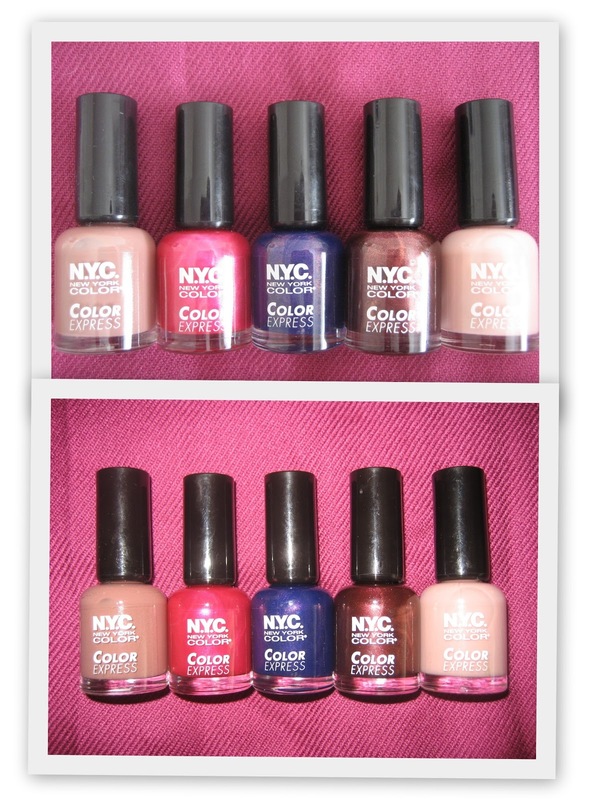 Below are some gorgeous NYC polishes I picked up in the local pharmacy Marvin Mundo and these babies were on sale, yes siree! They were priced at €1.99 each and I got'em for €1.59. Bargain or wha? Next are bits I picked up on random trips to Mercadona and Marvin Mundo (which we called Maradonas and Marilyn Munro the whole time). I love my Adidas Pure Lightness body spray but when I saw a new fragrance, I snapped it up. Strange name, Happy Game, but I love the fresh, summery scent. 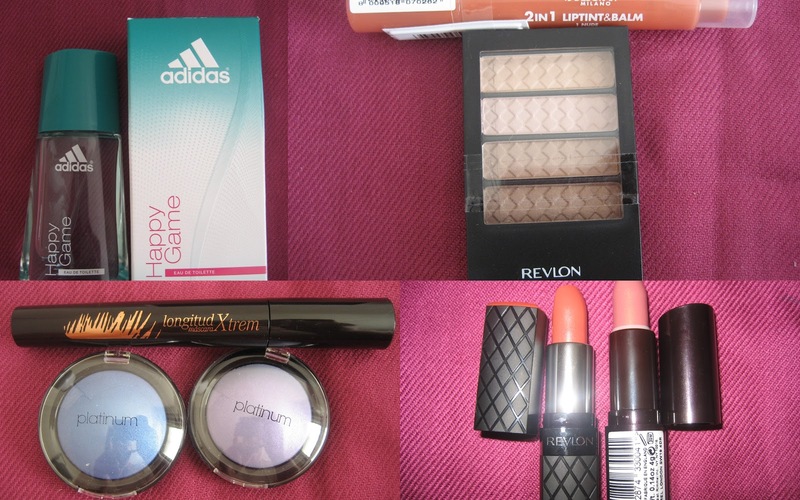 I got a Revlon quad in In The Buff and it was just over €10 blips and a Deborah Milano Liptint & Balm in a coral peach colour. On the bottom left above are more bits from Mercadona and I'm missing a third eyeshadow, it's in my make up bag which I left at work and it's a bronzey colour, all these were cheap as chips but I can't remember exactly how much, helpful, right?! 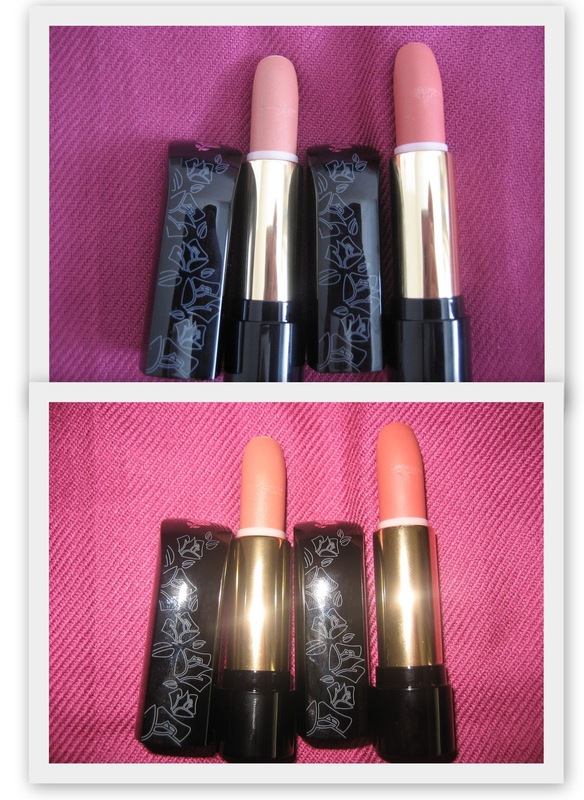 Bottom right is a Revlon lippie in Peach and Rimmel's Airy Fairy. These were 20% off along with the Revlon quad and the lipstain. Nobody should ignore a 20% off sale. Below are these gorgeous lipsticks I got in Mercadona and I do remember these were €4.50. They are gorgeous, creamy, glossy and they make me happy. The shades are just numbers but if you want to know what they are, just let me know in the comments and I'll do a full review post shortly. These are my kinda lippies, not drying, shiny and cute. Result. Finally are the lippies I was dying to get my little paws on. I've been wanting to get the L'Absolu Nu from Lancome for months now and had my eye on shade 203. But of course, while perusing the Duty Free, I swatched shade 201 and since they were cheaper than in the shops, I couldn't resist. They're beautiful nudey lippies which we know are right in my comfort zone, although I'm stepping out of it little by little! Let me know if you want to see swatches or reviews on any of the items. Am currently giving my nails a little break, they're stained blue from my most favourite polish ever, Sally Hansen's Blue Calypso but I will continue to wear it again and again, I love it and it came to Spain with me, it doesn't matter that I look like I've lost the circulation to my fingernails! OMG! Well done hun, you did us proud!!! Welllll, someone's been a Busy Bee! Everything looks amazing. I simply cannot wait for the reviews! Well done chick! Oh dear Lordy... We can certainly send you shopping!! I hear Sephora profits have hit an all time high recently haha!! Nice haul!! Looking forward to seeng the reviews! Actionmags - I snorted out loud at your quotation from the Stila welcome back to ireland guidebook heheh Can't wait to check it out in person! Vintage Makeup - it'll keep me busy that's for sure! Julie - I can't wait to review it too! Y - I will most certainly oblige you my dear! Dee - I couldnt resist it! 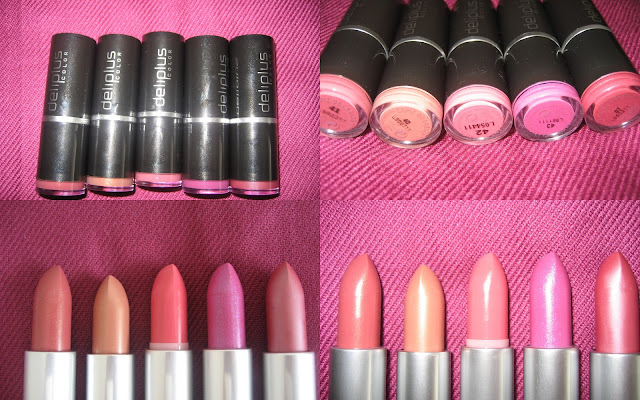 Saw the 203, had it in hand, then saw 201, couldnt choose, 2 lippies in my posession ;P Looking forward to seeing what you pick up in London baby! Great purchases, I'm looking forward to seeing what you think of them all.